Nearly every time you see him, he's laughing, or at least smiling. And he makes everyone else around him feel like smiling. He's the Dalai Lama, the spiritual and temporal leader of Tibet, a Nobel Prize winner, and an increasingly popular speaker and statesman. What's more, he'll tell you that happiness is the purpose of life, and that "the very motion of our life is towar Nearly every time you see him, he's laughing, or at least smiling. And he makes everyone else around him feel like smiling. 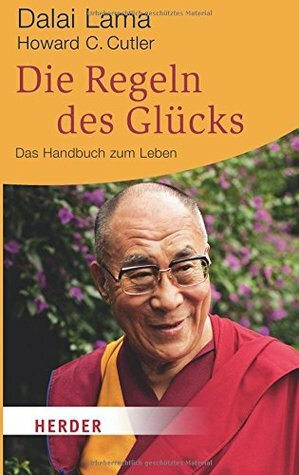 He's the Dalai Lama, the spiritual and temporal leader of Tibet, a Nobel Prize winner, and an increasingly popular speaker and statesman. What's more, he'll tell you that happiness is the purpose of life, and that "the very motion of our life is towards happiness." How to get there has always been the question. He's tried to answer it before, but he's never had the help of a psychiatrist to get the message across in a context we can easily understand. Through conversations, stories, and meditations, the Dalai Lama shows us how to defeat day-to-day anxiety, insecurity, anger, and discouragement. Together with Dr. Cutler, he explores many facets of everyday life, including relationships, loss, and the pursuit of wealth, to illustrate how to ride through life's obstacles on a deep and abiding source of inner peace.